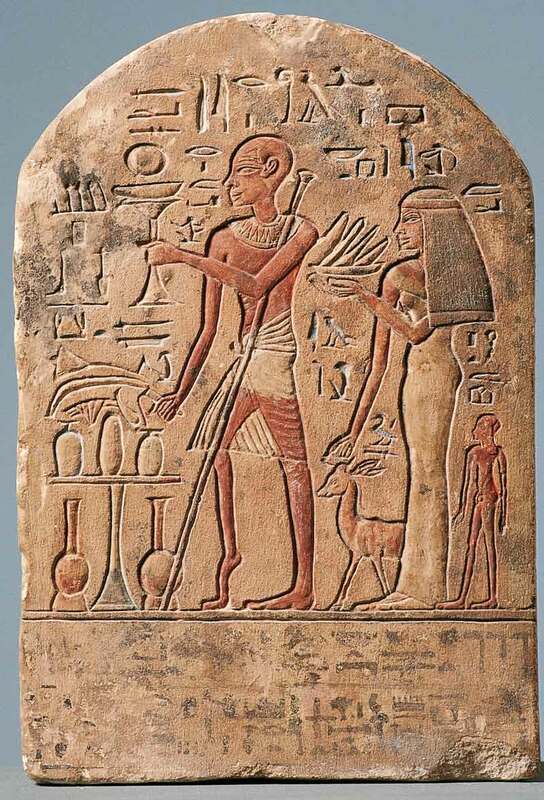 the earliest known representation of this illness is on a stela of the Ny Carlsberg Glyptotek Museum in Copenhagen, the so-called "polio stela". This dates from the end of the 18th or the 19th Dynasty. A photo montage clearly shows the likeness between the attitudes of the characters. 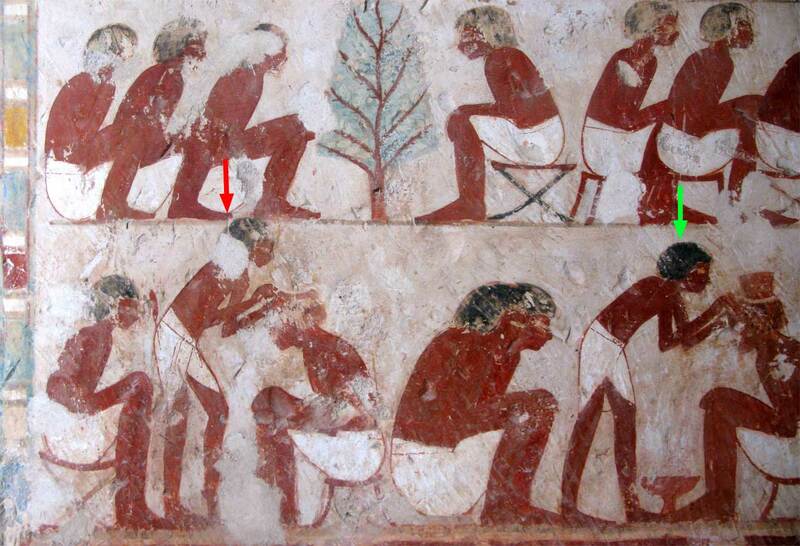 The scene in the tomb of Userhat dates from the reign of Amenhotep II, and would therefore be the oldest (by a little ...) known representation in the world of the aftermath of poliomyelitis, confirming the existence of this illness in these remote times.